Police Nations Cup 2015. 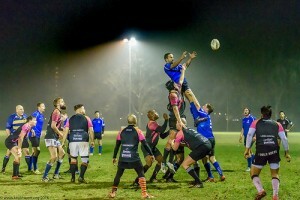 The 4th edition of this fairly new tournament was held at the Feanster Rugby Club in Heerenveen, Netherlands, with police forces from England, France, Germany and the Netherlands. 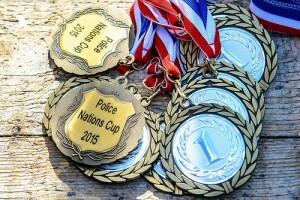 Men’s teams: Deutsche Polizei Auswahl Rugby (DPAR), Police Kent, Police Lille, Royal Military Police – British Forces and Politie Nederland. The men’s tournament being regained by the Kent Police force and the ladies being won by Germany. The Warriors Cup 2014. 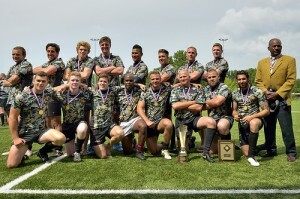 A Yearly Rugby 10’s tournament of the OMK : ‘Open Militair Kampioenschap’ where teams from the various Armed and Uniformed forces of the Netherlands battle it out for the coveted Warriors Cup. This year the Police were defending the cup yet again as holders of the cup for the last 4 years. This year however the Police were defeated and the Warriors cup is now in the hands of the Rhino Warriors. The OMK : ‘Open Militair Kampioenschap’ Rugby 10’s is a battle between the various Armed and Uniformed forces of the Netherlands for the coveted Warriors Cup. 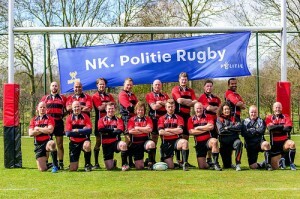 The final this year being won by the Police team : Politie Rugby Netherlands 1. 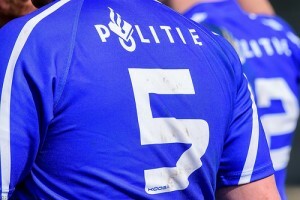 See artical ‘Politie arresteert warriors cup‘ (in Dutch) on Rugbynieuws.nl for details.